Coaching works when it’s systematic and an integrated part of a larger leadership and talent development effort. 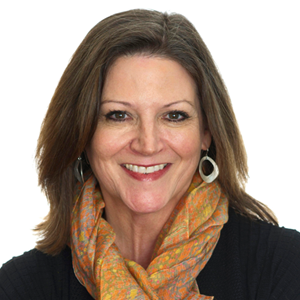 Krisann is a principal at Cambria with more than 25 years of experience as a consultant and master coach. As a consultant, Krisann helps organizations create strategic executive coaching practices tied to its talent development needs. She brings particular expertise in talent management, internal coach development, organizational change, leadership development and merger integration/ culture change. As an executive coach, Krisann’s refined coaching style revolves around clarity of communication, pragmatic thinking, and insight. She has a proven track record of accessing and leveraging a leader’s business and interpersonal skills to optimize their effectiveness and performance, relative to organizational strategy. Krisann has partnered with many C-suite and other senior executives across a broad range of industries including: financial services, chemicals, agricultural, insurance, healthcare and the federal government, among others. She has particular expertise in integrating strategic vision, merger integration/culture change, and global expansion. Prior to joining Cambria, Krisann’s coaching experience included the areas of change management/accelerated growth, talent management, executive presence, diversity, and cross-functional and cross-cultural collaboration. She helped lead a nationally recognized, award-winning executive coaching practice for Wachovia Corporation (now Wells Fargo), which was twice named a Benchmarked Best Practice by Training Magazine. Krisann holds a BA in communication from the University of Kentucky, and an MA in psychology from Sofia University in Palo Alto, CA. She is a member of the OD Network, the International Coach Federation (ICF), and the International Enneagram Association. She’s been a frequent conference presenter on the value and impact of executive coaching on leadership, team development and organizational talent effectiveness.